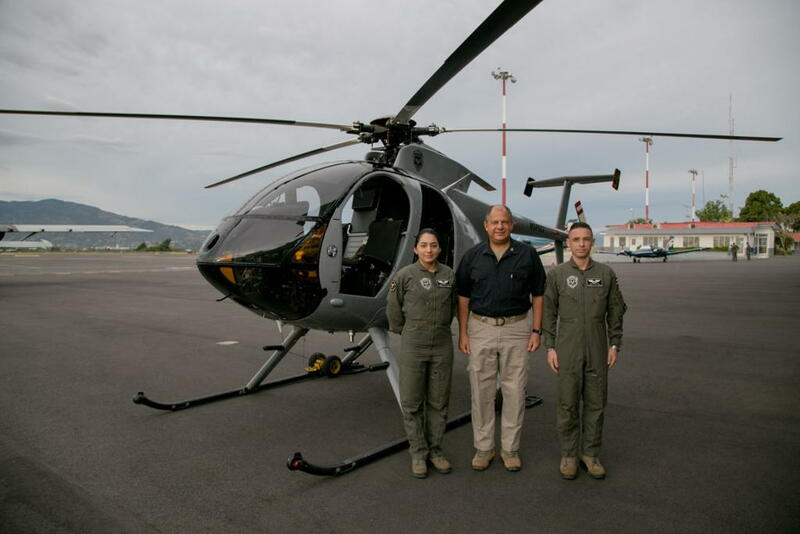 The United States government has shown its commitment to continue supporting Costa Rican security with the donation of four UH-1ST helicopters to the Dirección del Servicio de Vigilancia Aérea (SVA) – Air Surveillance Service, of the Ministry of Public Security (MSP). The new helicopters will increase the capacity of the SVA to provide air support in maritime and air interdictions, as well as in emergency care, since the UH-IST can operate in mountainous terrain and variable weather conditions, essential characteristics for the diverse geography of the country. With these aircraft, the SVA will be able to cover more territory and respond more quickly in security operations, preventive patrols and humanitarian assistance. Also, they will increase the capacity to transfer personnel, supplies and provide rescue services in places of difficult access, as well as directly support the Coast Guard. The donation includes the helicopters, their reconditioning and training for the members of the SVA that will be in charge of the aircraft, which will arrive in the country once that reconditioning is completed, a process that could take around four months in each of them. Under the program, the SVA pilots and officers of the SVA will receive training in Costa Rica before the aircraft arrive in the country and the U.S. will be responsible for maintenance and spare parts during the training program, which could take at least two years. While, the SVA will assume the operating costs of the helicopters. The total value of this donation by the US Government, through its Office for Counternarcotics, Citizen Security and Justice (INL), amounts to US$43 million dollars. U.S. Ambassador to Costa Rica, Sharon Day, said the helicopters are a symbol of the strong alliance between the United States and Costa Rica, which benefits security, prosperity and the rule of law in both countries.